Toyota is set to announce a customer service campaign to remedy an emergency trunk release defect in roughly 700,000 Lexus vehicles, according to Consumer Reports. The consumer watchdog site, which uncovered the problem, reports that Toyota will reveal the service campaign in January for owners of 2007 through 2013 Lexus ES, 2006 through 2012 Lexus IS, and 2013 Lexus GS vehicles. In October, Consumer Reports discovered the potentially fatal defect while reviewing the trunk release mechanism on a 2013 Lexus ES 350. The publication found that the vehicle’s emergency interior trunk escape lever might easily snap off during use, which would leave the occupant trapped inside. In fact, it was actually the reviewer’s son that discovered the dangerous flaw. According to reviewer Jake Fisher, his four-year-old son snapped off the trunk release lever while employing mechanism. As a result, his son was trapped under in trunk. Fisher was able to open the trunk because he was standing nearby, but nevertheless Consumer Reports deemed the failure a major hazard. Consequently, Consumer Reports contacted Lexus and the National Highway Traffic Safety Administration about the defect. In October, Toyota, which manufactures Lexus, announced it was investigating the durability and ergonomics of the emergency trunk release lever to determine to problem. The automaker was able tor reproduce the problem and also identified that the IS model was prone to release breakage. Toyota then concluded that the problem can be avoided by replacing the ABS plastic reealse with a stronger polypropylene material. Toyota has already begun implementing this change in its factories, meaning that all future ES, GS, and IS models will feature the more durable mechanism. Although factories may already be using the new material, it is not currently available to dealerships. Toyota will notify customers of the recall once new parts have been shipped to dealers. 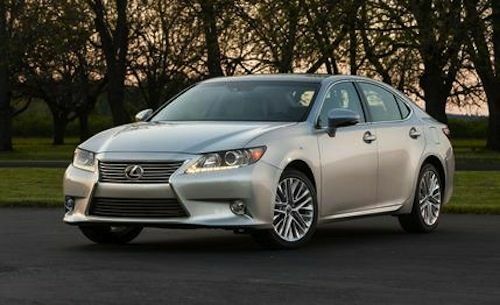 In the meantime, owners can contact Lexus customer service at 800-255-3987 or go to www.lexus.com/recall. Concerned drivers may also contact the National Highway Traffic Safety Administration’s Vehicle Safety Hotline at 1-888-327-4236 or visit www.safercar.gov. Despite acknowledging the flaw, Toyota spokesman Brian Lyons said that the upcoming service campaign will specify that the mechanism broke because it was pulled in the wrong direction. While not a common occurrence, 10 to 20 people die in trapped car trunks each year, according to Kids and Cars. Since 2012, all cars and trunk have been equipped with an emergency trunk release. If you have an older vehicle, visit www.KidsAndCars.org to purchase a retrofit kit called the Quick-Out Emergency Trunk Release for just $9.99.